In 1453, Guiliano della Rovere was born to humble parents in Liguria. 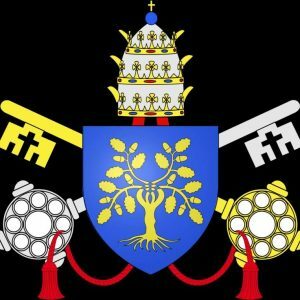 As the nephew of Pope Sixtus IV (1471 – 1484) he, like other nephews of popes, received special treatment that paved the way for his ascension to the papacy. Another uncle, Francesco, was responsible for his education at Perugia. Della Rovere received Holy Orders and became a Franciscan, and Sixtus appointed him a cardinal at the age of eighteen. He became the papal legate to France for Sixtus IV. Later, during the pontificate of Innocent VIII (1484 – 1492) and while still in his thirties, Guiliano played an important role in papal government. However, his influence ended with the papacy of the Borgia pope, Alexander VI (1492 -–1503) with whom della Rovere had vied for election. Della Rovere actually fled for his life to France at that time and eventually accompanied Charles VIII, king of France, in his invasion of Italy to lay claim to the Kingdom of Naples. Because of Rovere’s numerous alliances in Italy, Alexander was forced to seek a compromise with him and this was partially accomplished by della Rovere’s arrangement of the marriage of a French princess with Alexander’s son, Caesare. Della Rovere became pope upon the death of Pius III who reigned in 1503 for less than a month. 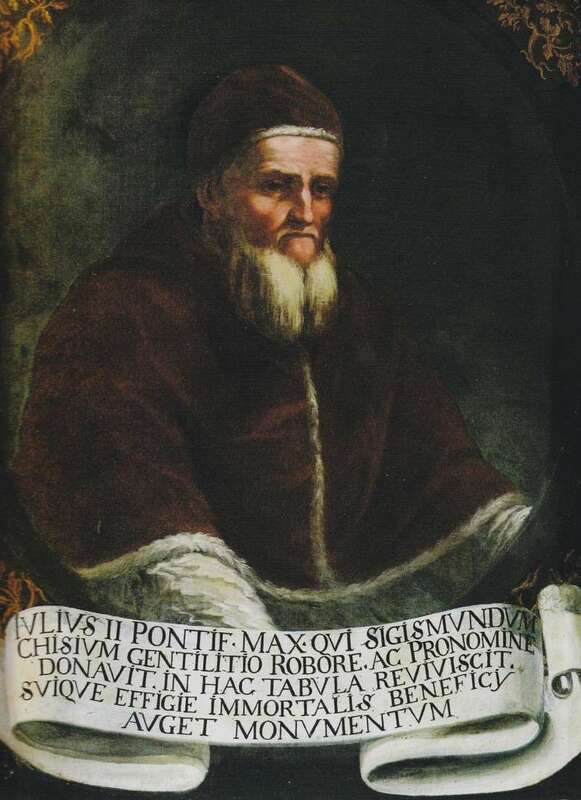 Taking the name of Julius II, the new pope pursued military solutions to the myriad problems left to him by Alexander’s VI’s attempt to create a Borgia dynasty. He led papal armies in a variety of military campaigns. He created alliances with France and Germany and then did an “about face” when he saw that France was becoming too powerful. He then wooed the Spanish by giving them Naples. Ever conscious of the Turkish threat, he was careful not to bring Venice to its knees when he wrestled their ill-gotten land holdings from them. 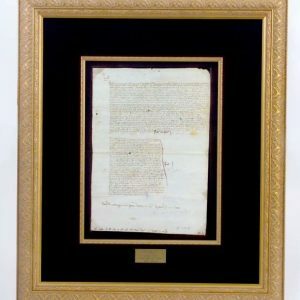 When dissident cardinals arranged a council at Pisa with the help of Louis XII of France to depose the pope, Julius countered with a legitimate council at the Lateran. This was the Fifth Lateran Council. 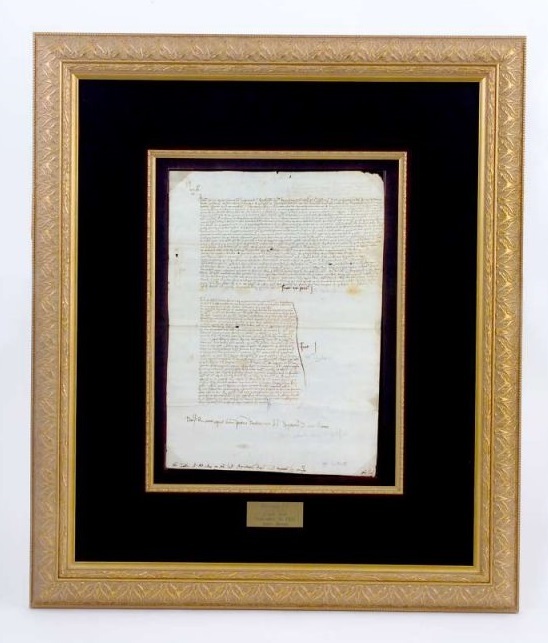 Mostly dedicated to countering the actions of the French Council at Pisa, it did eventually condemn simony, the buying and selling of church offices but did not impose the needed spiritual and temporal reforms that may have checked Martin Luther’s demands. Most significantly the continued sale of indulgences was not addressed. It was indulgences that produced the revenue to fight ongoing wars in the Papal States and to promote the beautification of the Vatican for which Julius is remembered. It is worth noting that Julius, who began his papacy inheriting an empty treasury, left a full one. Today, with the political intrigues of his century far behind us, we enjoy the benefits of Julius’ great interest in the arts. A patron of Raphael, Bramante and Michelangelo, Julius’ great sense of aesthetics abounds in Rome. Raphael’s frescoes adorn Julius’ apartment, particularly the room that served as his library. Bramante was commissioned to plan the rebuilding of St. Peter’s Basilica. Michaelangelo, a sculptor, not only was commissioned to immortalize Julius in the design of his elaborate tomb, but was also commissioned to paint the ceiling of the Sistine chapel, a work of art enjoyed and reverenced by millions of people in the ensuing 500 years. Michaelangelo’s relationship with the fiery Julius II was addressed in Irving Stone’s novel, The Agony and the Ecstasy which was made into a movie in 1965. Not only does the film portray their relationship, it also depicts Julius’ role as the warrior pope fully vested for battle in his numerous campaigns. Julius II laid the cornerstone for St. Peter’s Basilica and established both the Vatican Museum as well as the Swiss Guard, both very important to the papacy to the present day. 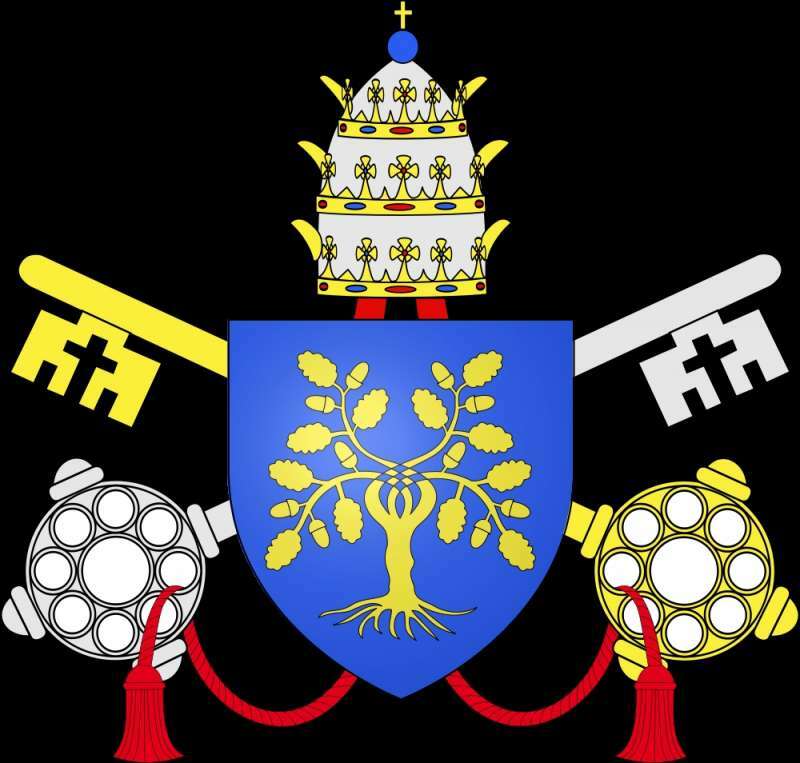 It is often forgotten that he was given only ten years in which to accomplish his tasks, that he aimed to make the papacy, not the popes, great, that he was a statesman who wanted to bring peace to Italy at last after forty years of political assassins, among them the first Rovere pope, who wore the tiara and who served only their nepotism and had harmed the country as well as the Papal State with their policy of alliances. Thus normal standards fail here for judging the ruler who towered above all the rulers of his age. He was a pope who as a politician and rich patron of the arts strove to achieve a synthesis of the state, culture and spirit as has never again been conceived of in this monumental way. Julius II died on February 21, 1513. He was seventy years old. 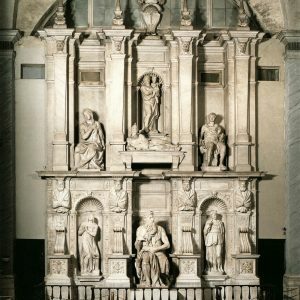 It is a common error that many people believe the burial site of Pope Julius II is in the church of San Pietro in Vincoli (Saint Peter in Chains) because of Michelangelo’s Tomb of Julius II located there. 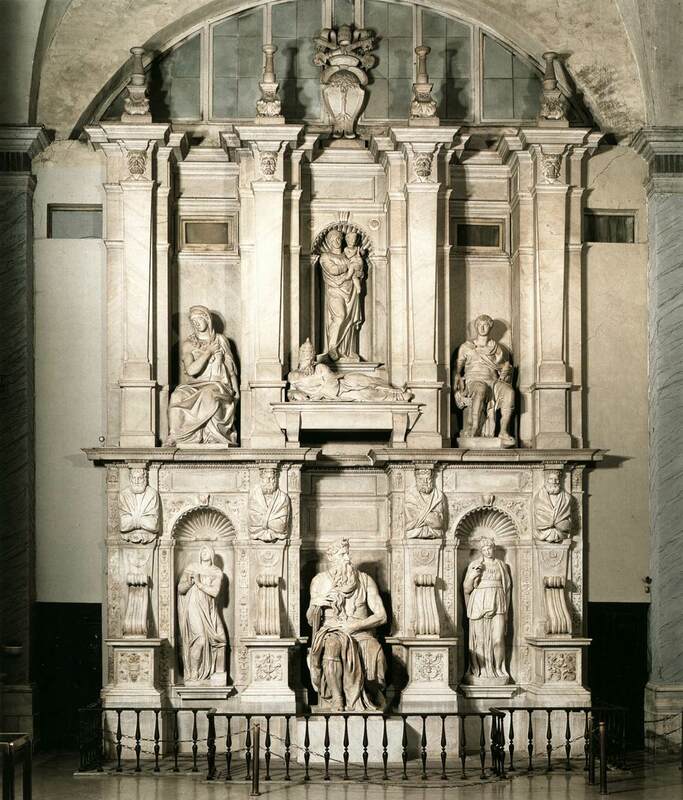 It includes the most famous of Michelangelo’s sculptures, his statue of Moses as the central piece of the monument. However, this tomb was not completed until 1545 and represents a much-abbreviated version of the planned original, which was initially intended for the new St. Peter’s Basilica. Julius always intended to be buried in St. Peter’s. However, a much different burial site is his today. Together with his uncle, Pope Sixtus IV, their remains lie in the floor in front of the monument to Pope Clement X and are often covered by chairs and unavailable for visitors to view.